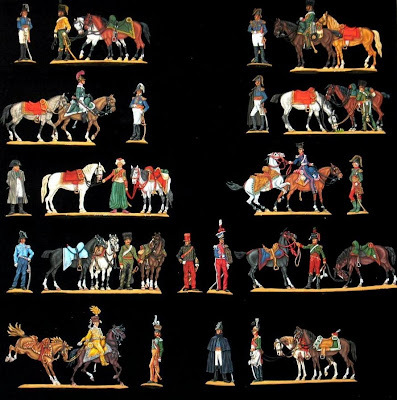 Here is the finished set from Mignot depicting Napoleon and some of his Marshals and Generals with various troops holding their horses. Mignot sets are highly collectable sets since Mignot moulds have been sold to Plassenburg museum of Germany. Quality of the engraving is superb and it definately worths the trouble to find such a set. All figures have been painted exclusively in oils over a white primer, including the various metal items.